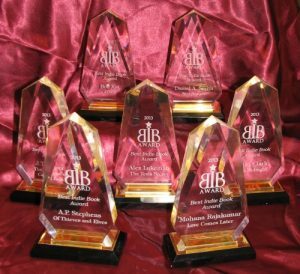 The annual Best Indie Book Award™ (also known as the BIBAs™) is an international literary award contest recognizing independent authors in major genres. Entries are limited to independently (indie) published books, including those from small presses, e-book publishers, and self-published authors. Books must be submitted in English, but submissions are not limited to authors in the United States. Submissions close each year at Noon EST on Oct 1st. Winners are announced by December 15th. of each year. 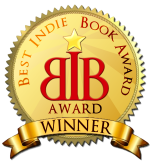 The Best Indie Book Award™ has been mentioned by many best-selling authors and on many author-related websites and blogs. Previous winners include USA Today and New York Times best-selling authors, movie producers, actors, and independent authors from around the globe. Anyone who retains the publishing rights to their book is eligible to enter the Best Indie Book Award™ contest. For example, if you are published through Amazon’s KDP, Nookpress, Smashwords, Createspace, or any vanity press, and you retain all rights to your book, then you are eligible to enter the contest. (Most authors fall under this and are eligible.) We have expanded our contest to include books published by small, independent presses. Their winning book featured in advertising, email, social networks, and promoted by other means. Their book displayed on the front page of the Best Indie Book Award website, and listed on the permanent, archived “Winners” page of this site.